Introduction by Daniela Cunico Dal Pra, Lecturer in Italian, UNC Charlotte. 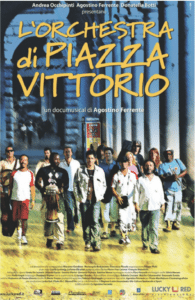 The documentary L’Orchestra di Piazza Vittorio (2007) by Agostino Ferrente tells the story of this very unusual musical ensemble. The movie has since been successfully screened at many international festivals, including the Locarno International Film Festival in Switzerland and the Tribeca Film Festival in New York City. In Italy it is distributed by Luckyred, and has won several awards such as the Nastro d’Argento and the Globo D’Oro as best documentary, both in 2007. Netflix is the US distributor of the movie that has also been released in many other countries around the world. 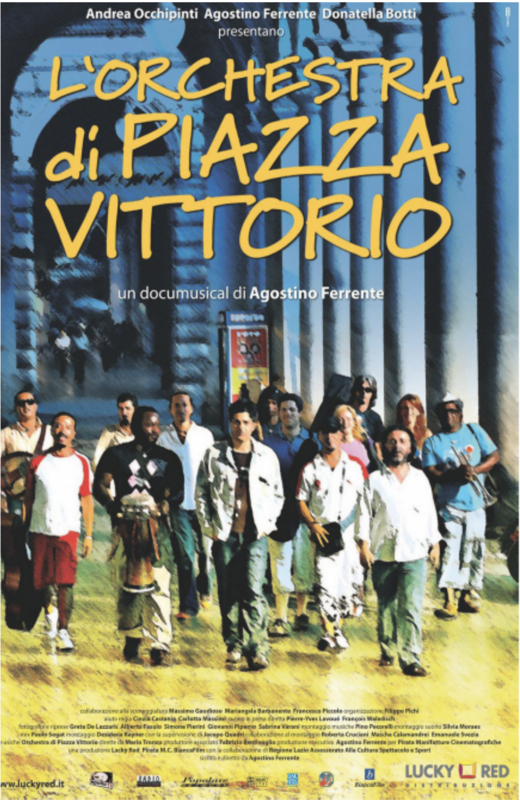 L’Orchestra di Piazza Vittorio has played over 300 concerts in the five continents, often after the screening of Ferrente’s movie, a format referred to as cineconcerto (film + concert).